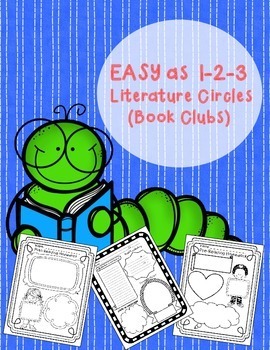 Literature Circles & Book Clubs MADE EASY! Are you nervous about the amount of work it will take to begin and continue literature circles in your classroom? Do you love literature circle but fear you will be unable to use them due to the rigors of the new Common Core State Standards? If so, this pack is for you! 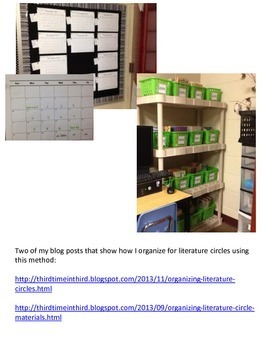 I will walk you through exactly how I'm able to run literature circles in my classroom that use up only a few minutes each day, but still have my students excited about reading chapter books! 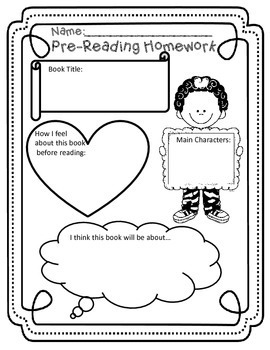 I also supply three sheets, a pre-reading, during-reading, and post-reading sheet for students to complete as they walk through their novels together. I have revised this file as of 1/23/14 but left in the old sheets so you have a choice of two for each night.